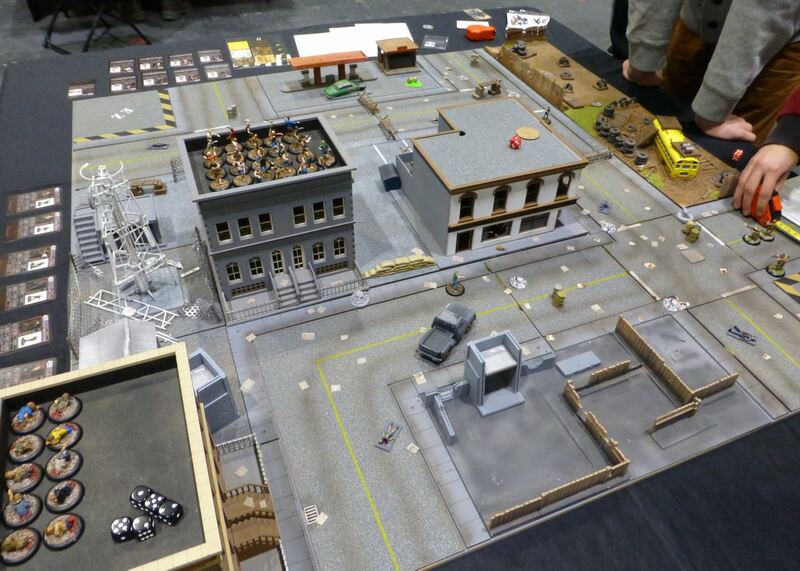 Wargames Illustrated hosted “Cold War Gone Hot”, the largest modern era participation game at Salute 2015. 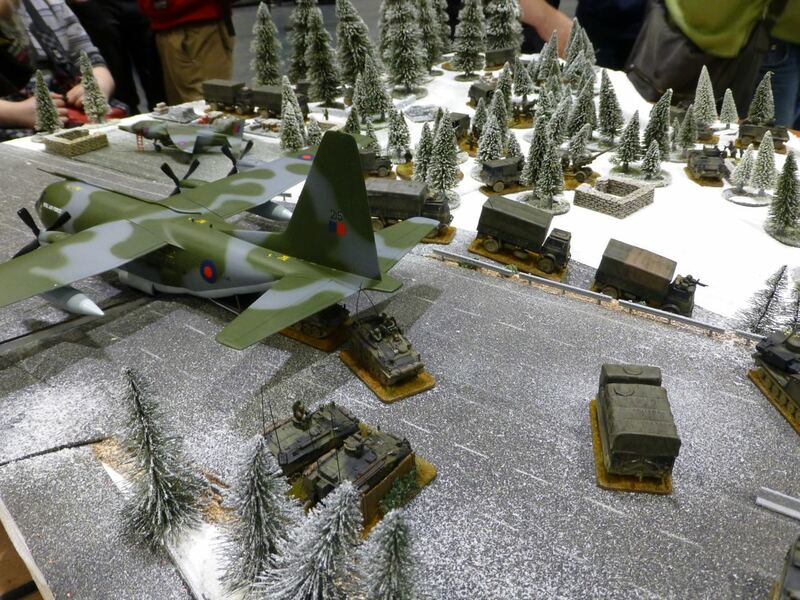 It made use of Nick Ayres’ 3rd Generation Warfare rules and featured models from the Leicester Phat Cats on winter terrain built by Nick Ayres and Philip Lewis. 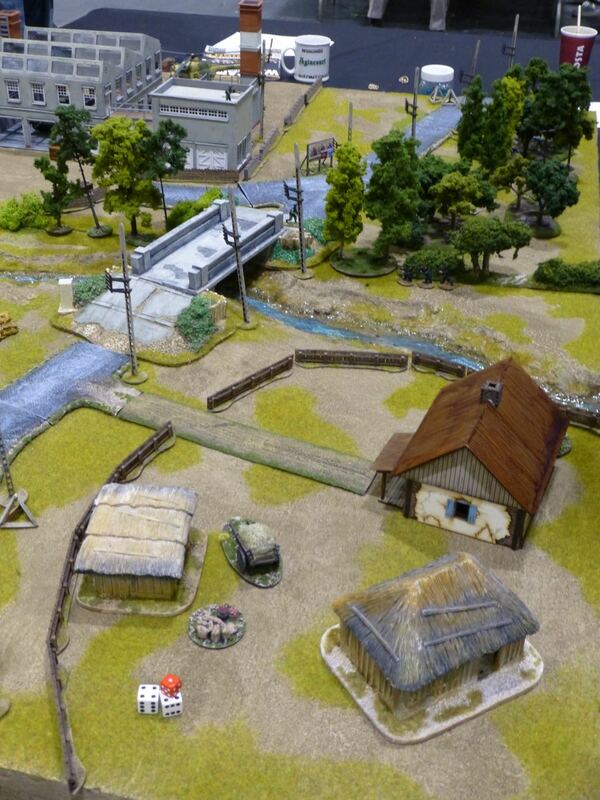 It’s the 1980s and the Cold War has turned into World War 3! 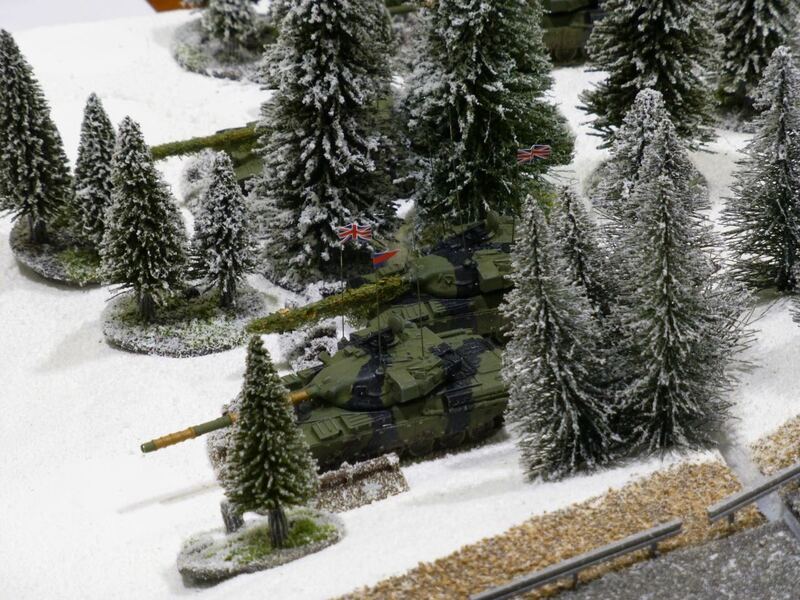 Take charge of a unit of Warsaw Pact or NATO troops and battle for one of the main autobahns into West Germany. 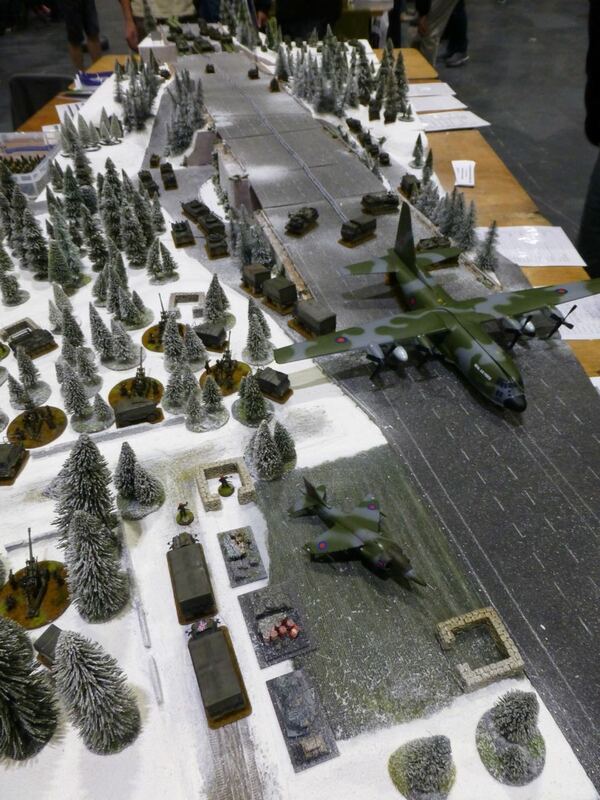 Another scenario based on the Cold War erupting into open conflict was MDK’s “Operation Broadsword – The Cold War Went Wet”. 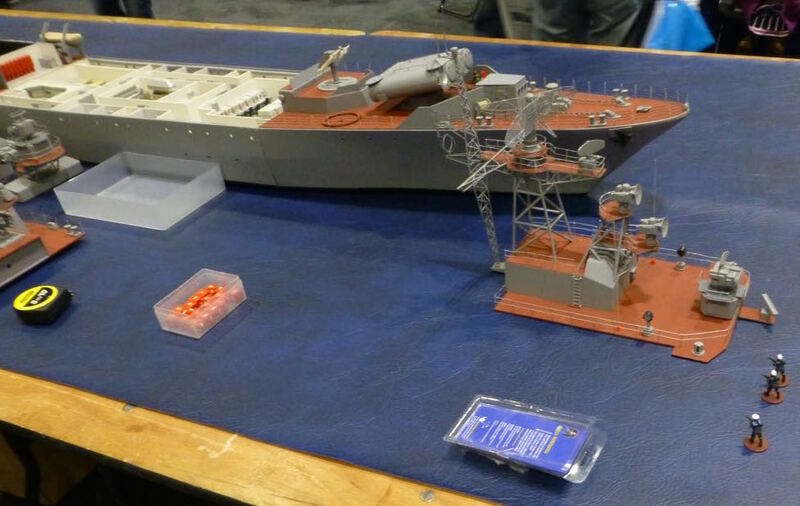 A force of SBS and Royal Marine Commandos have been tasked to carry out a raid on a Russian frigate in the Baltic Sea to capture the Russian Communications code book. 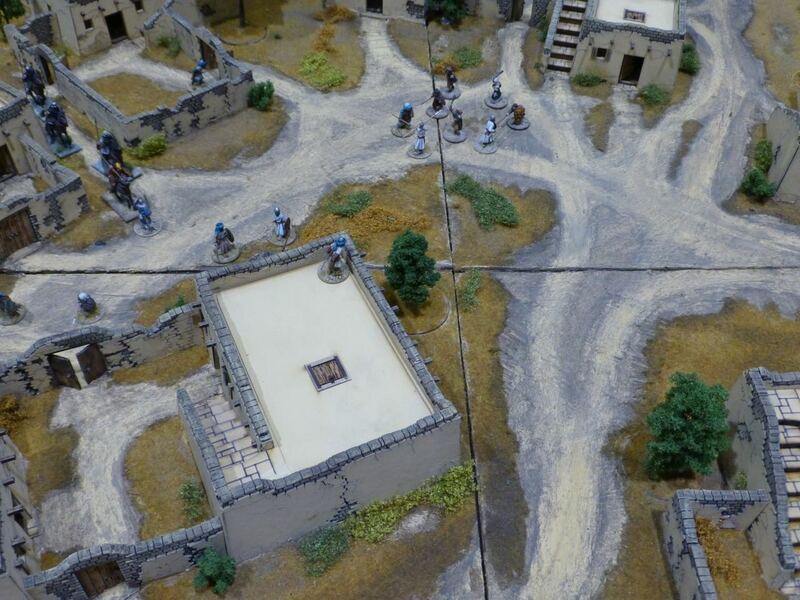 Wargames Soldiers & Strategy Magazine ran a game to preview Osprey’s upcoming rules “Black Ops”. 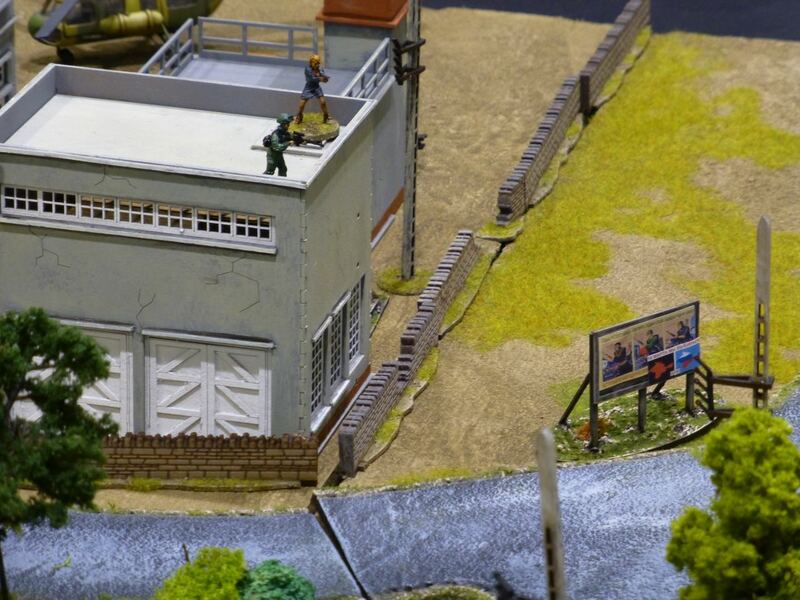 The assignment is to control a team of trained operatives and undertake espionage missions against the clock. 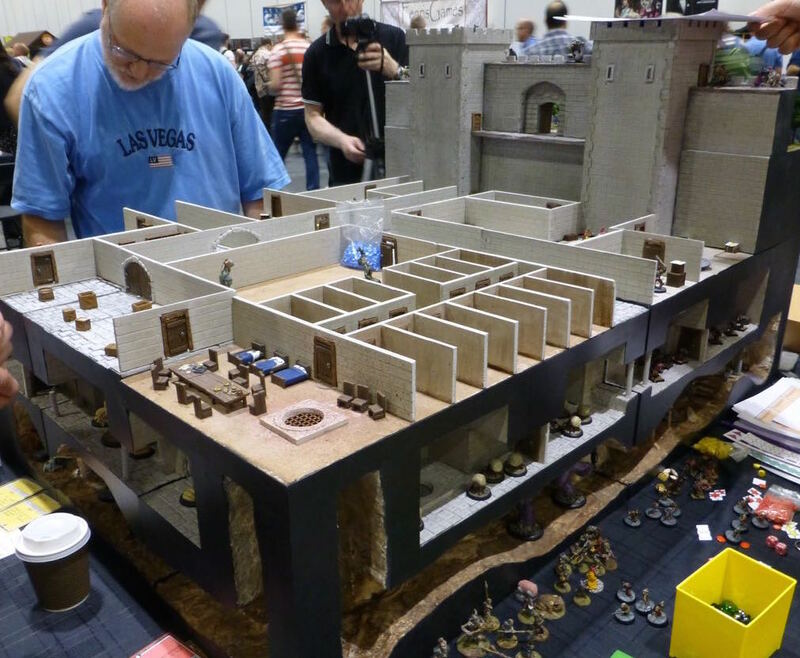 Will your fellow players help or hinder you? 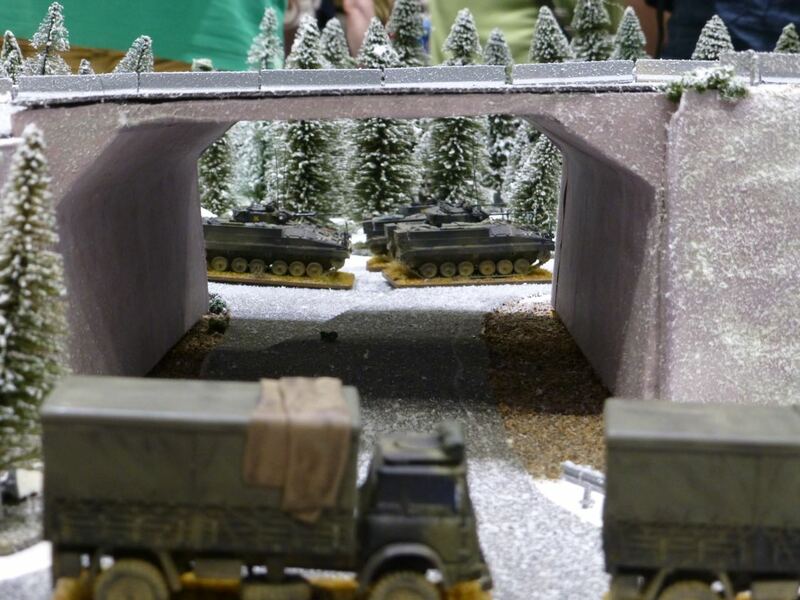 One of the most iconic chase scenes in James Bond’s history was reimagined by the Maidstone Wargames Society in “Spy to a Kill: Snowfalls”. 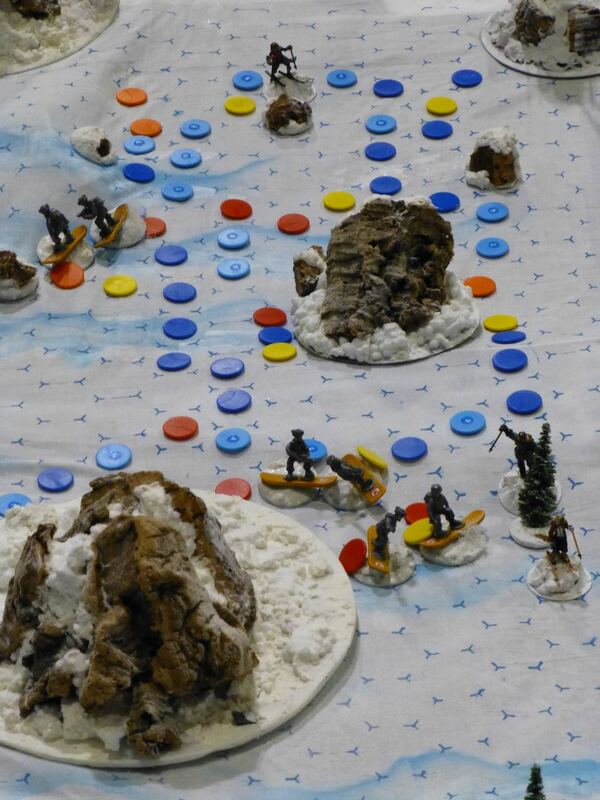 Can Bond and Dr Snow Falls evade capture in an Alaskan ski chase? 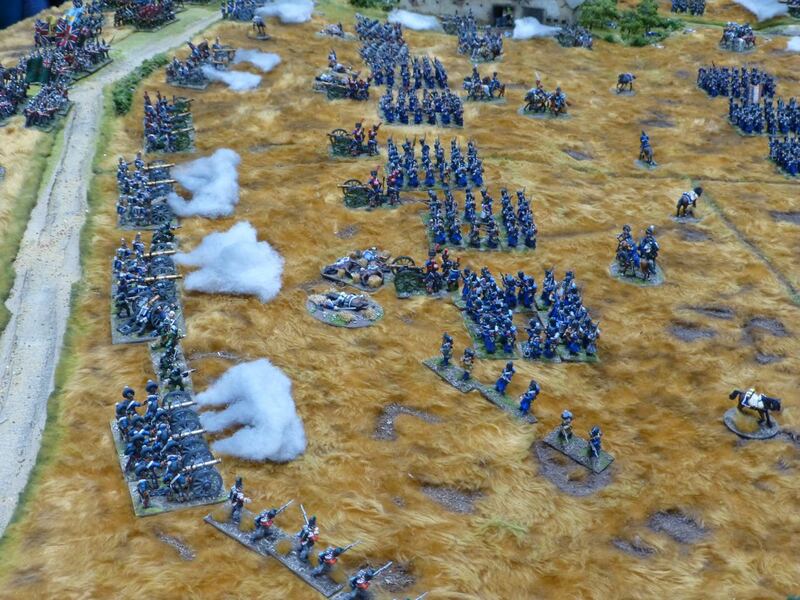 I haven’t done any historical wargaming for years now since there are just too many projects to keep juggling at the same time. 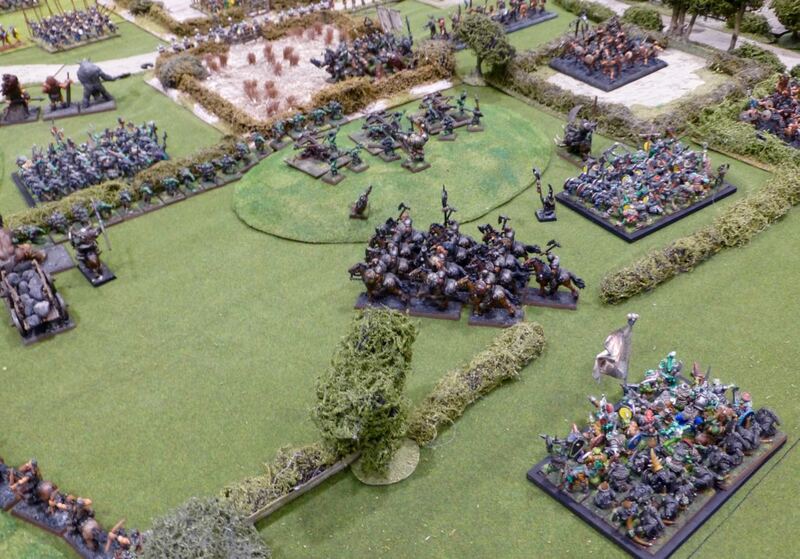 I have been eyeing up Saga however since I am more likely to finish a skirmishing force, or in some cases already have enough to field one. 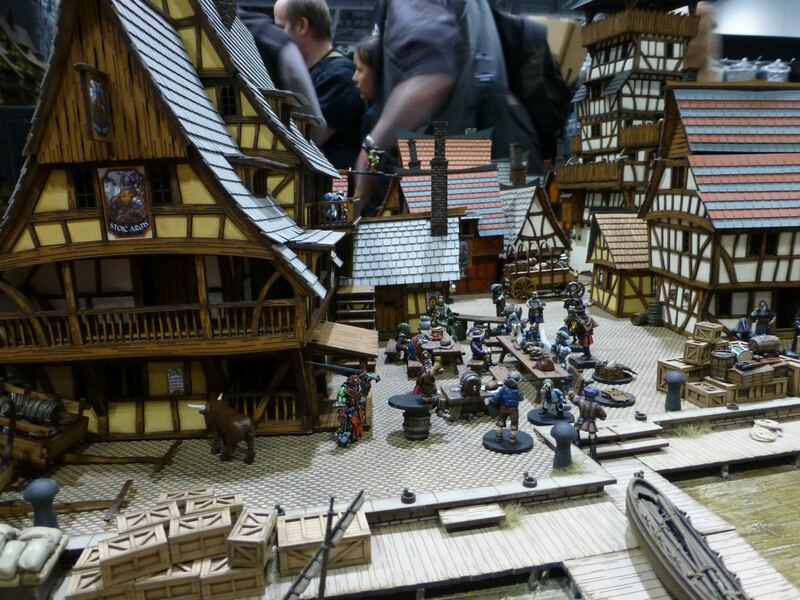 The original Dark Ages setting wasn’t an era I had much interest in, but with The Crescent and the Cross we are getting closer, at least geographically. 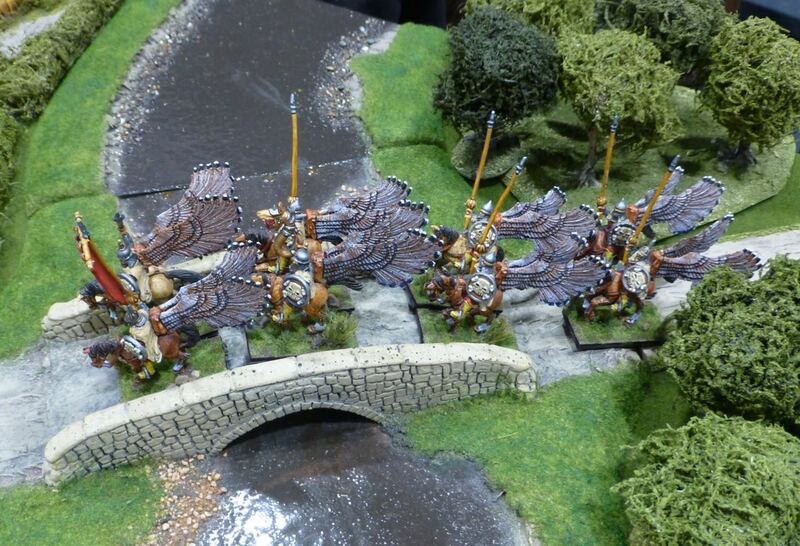 I might be able to adjust some of the rules for my Sassanids for example. 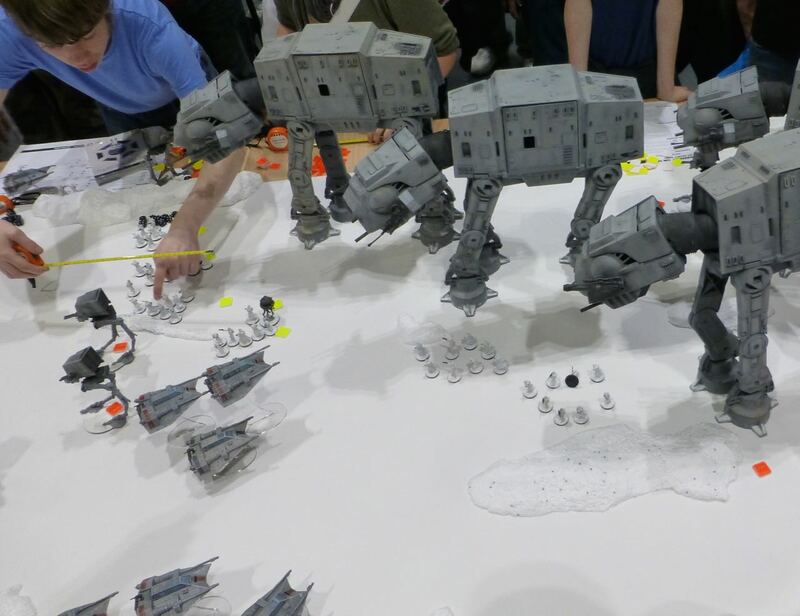 More likely, I’ll hang in long enough for a new expansion that covers a period I already have forces for. 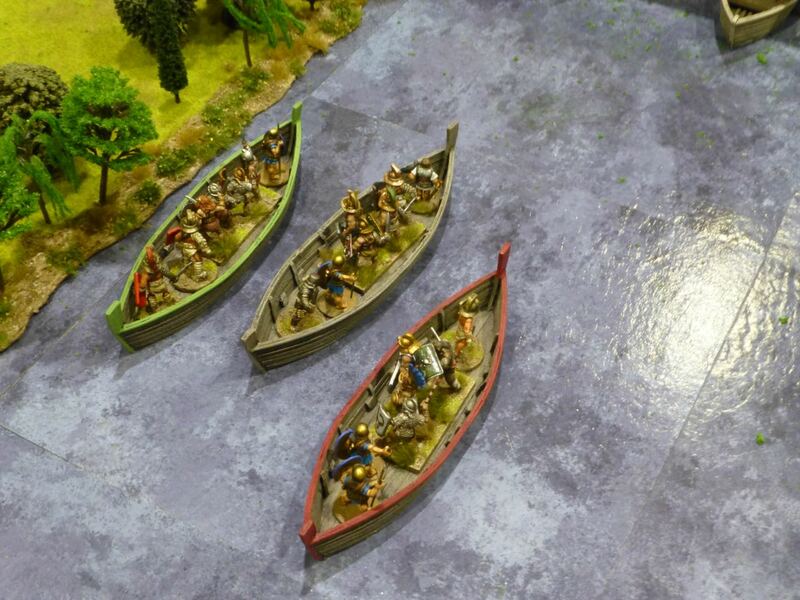 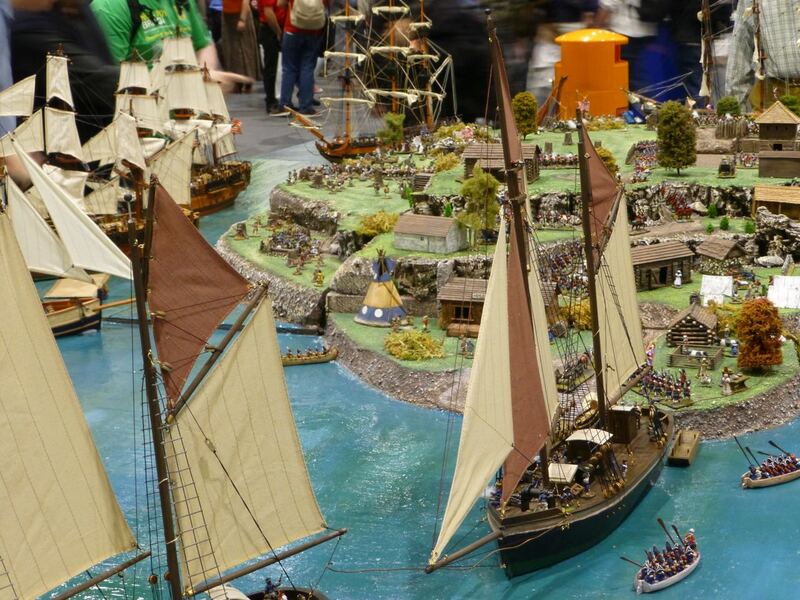 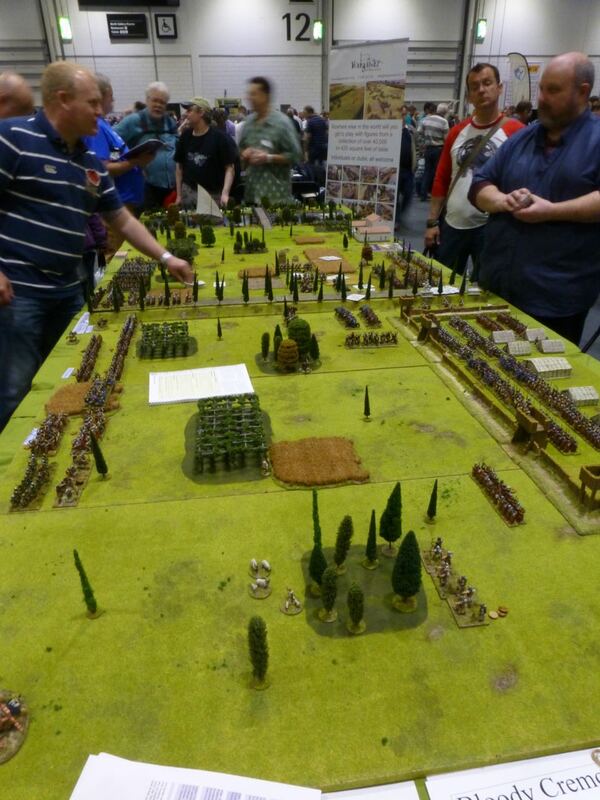 In the meantime, I used the opportunity to ogle the many Saga tables at Salute 2015. 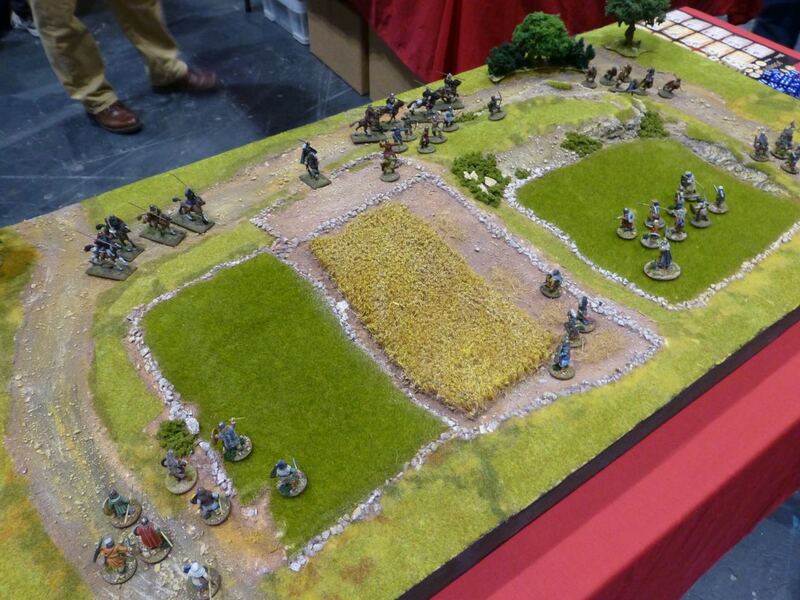 4Ground had a large sales stand and impressive new ranges on show. 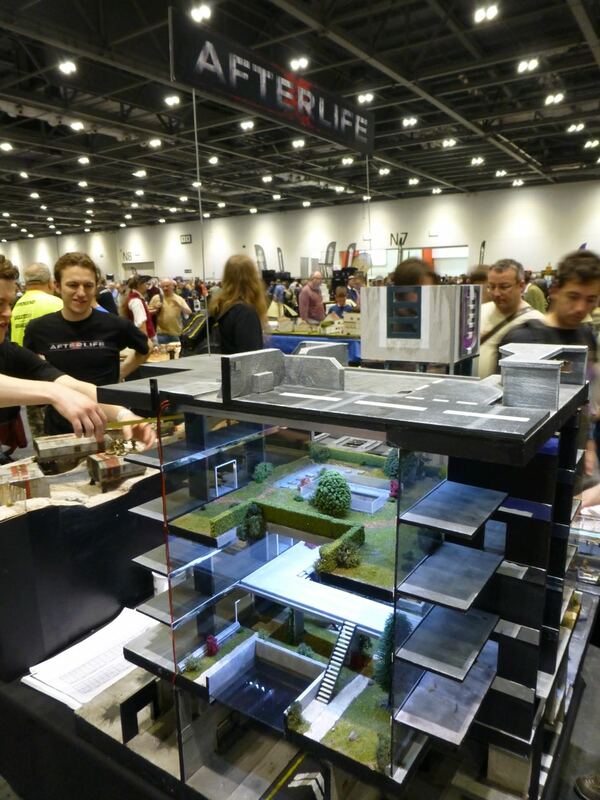 The table below tempted me to get some of their products, but the whole setup will set you back a couple hundred quid. 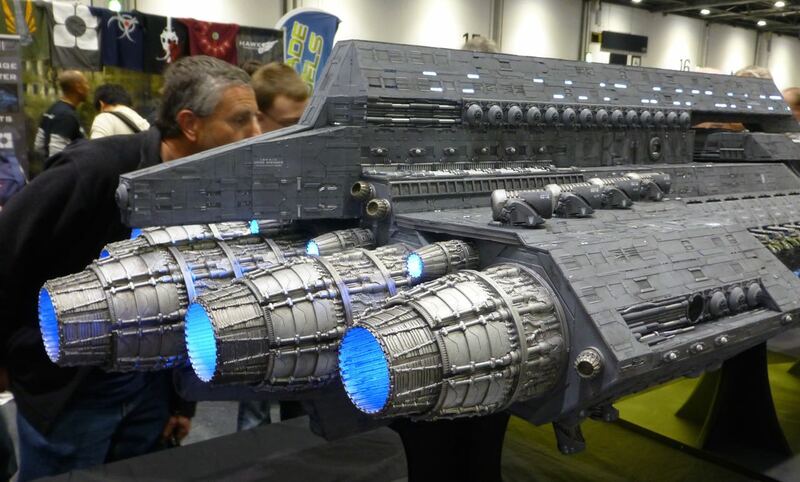 Also, I have nowhere to store them. 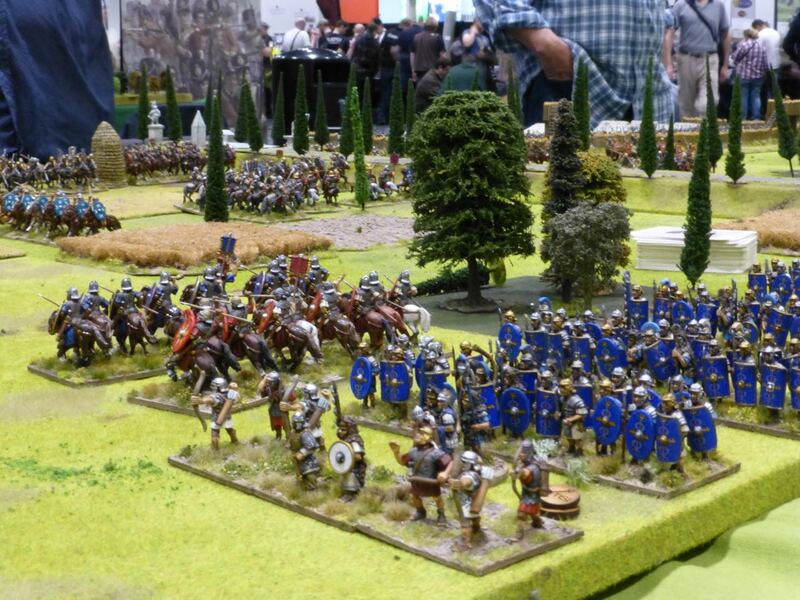 Antiquity was represented by a large participation game created by Simon Miller, depicting a Roman civil war battle at Cremona in 69 AD and using the “To the Strongest!” set of rules. 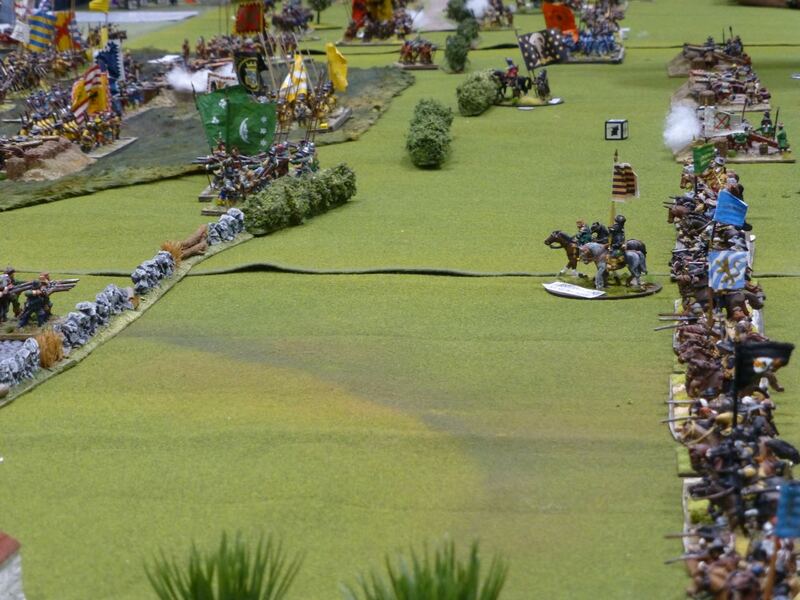 The theme of this year’s Salute was Agincourt as it is the 600th anniversary of the battle. 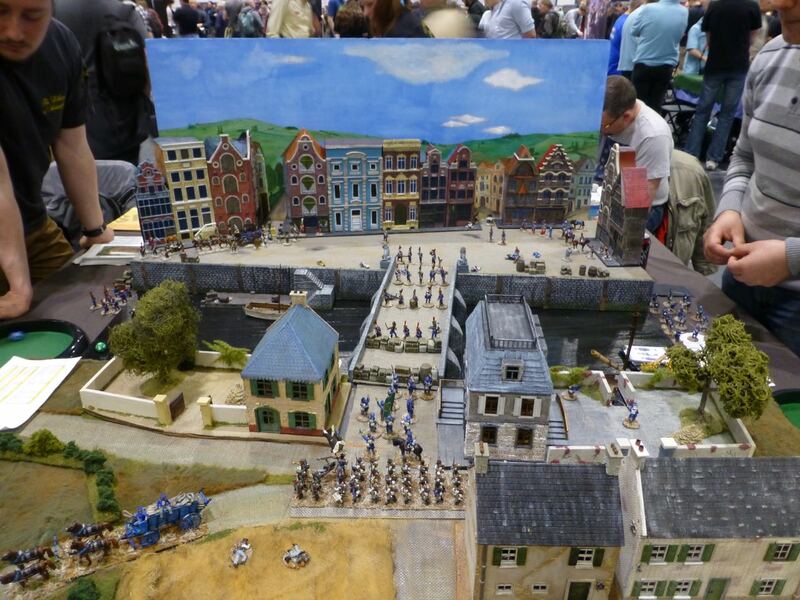 While there were several games with different takes on the recreation of the event, unfortunately there was no large display. 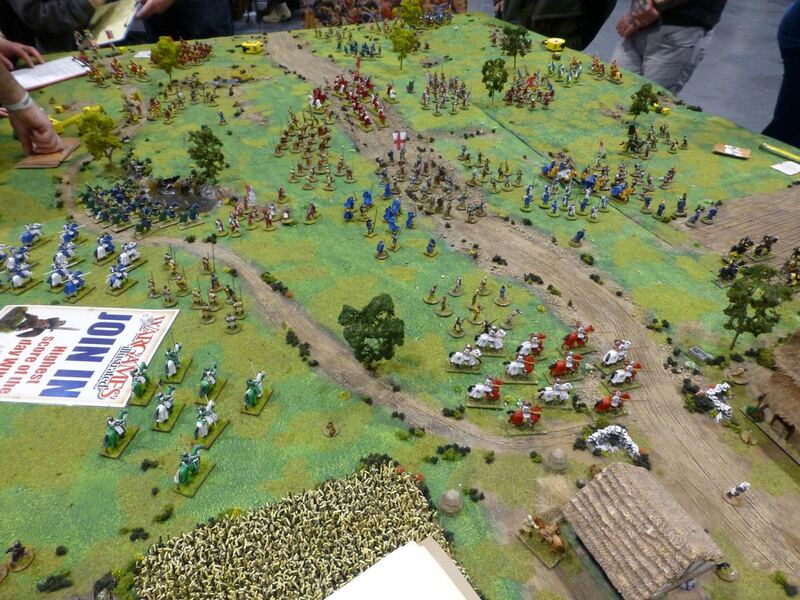 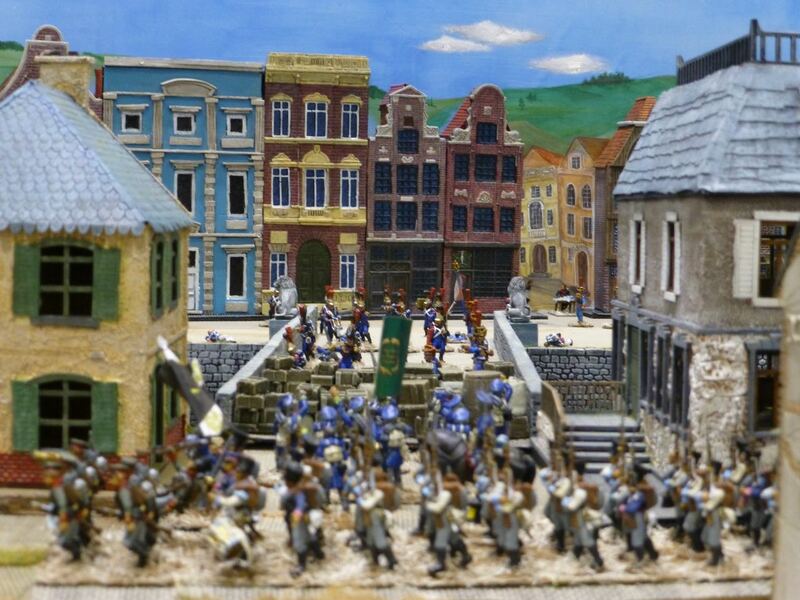 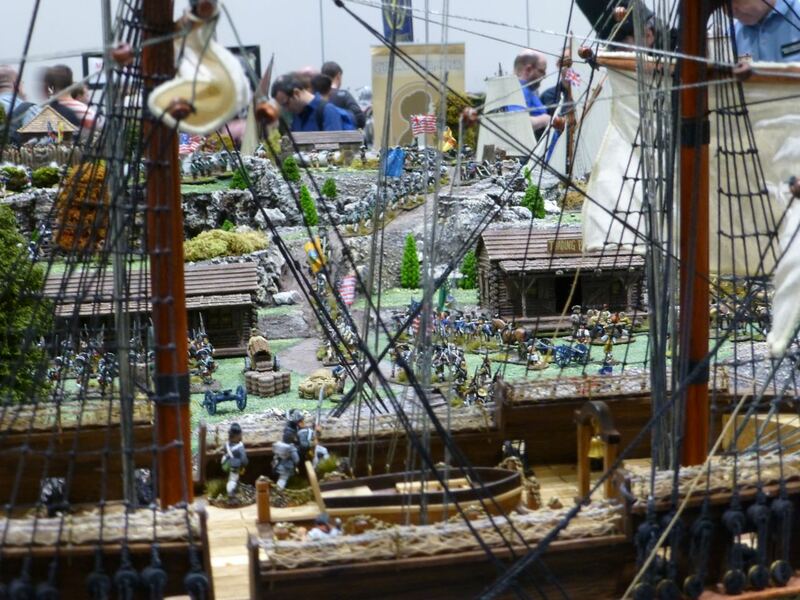 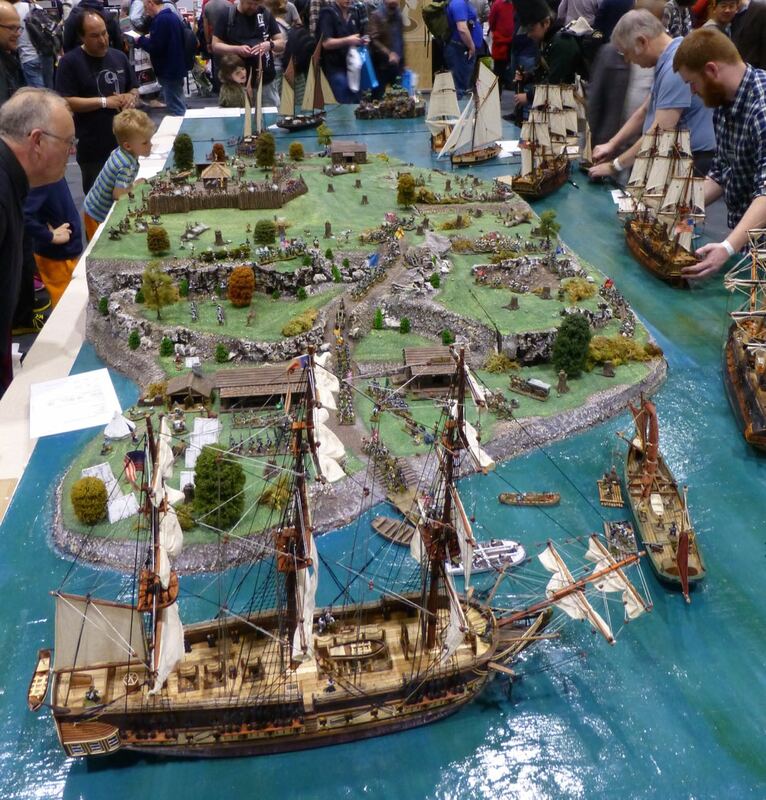 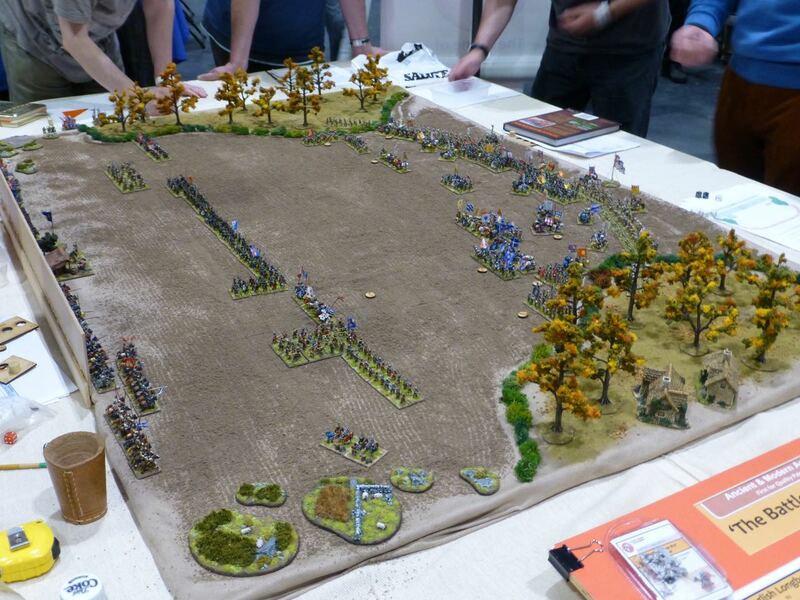 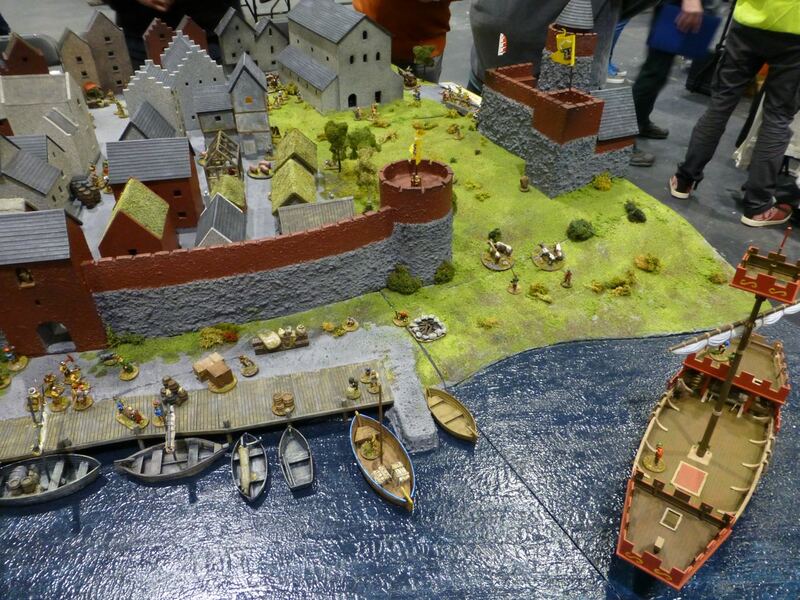 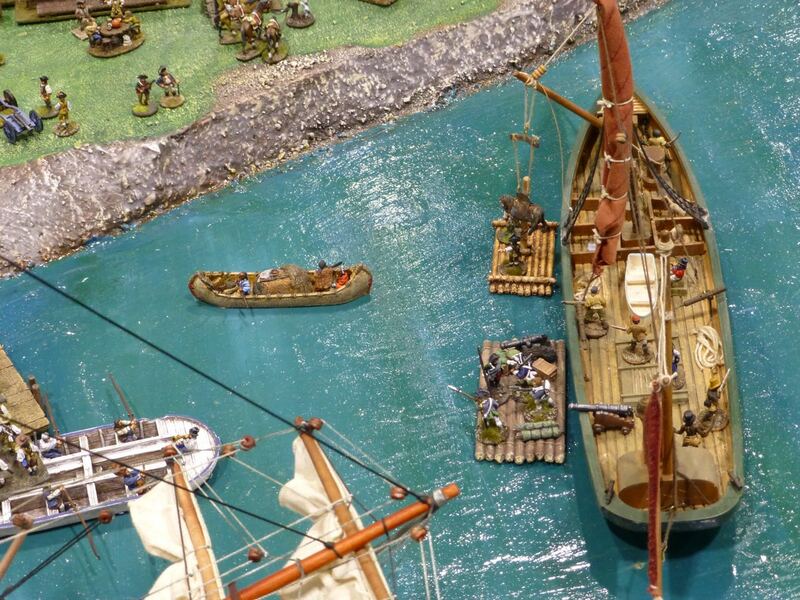 The nicest presentation in my opinion was the below board by Ancient & Modern/Donnington Miniatures. 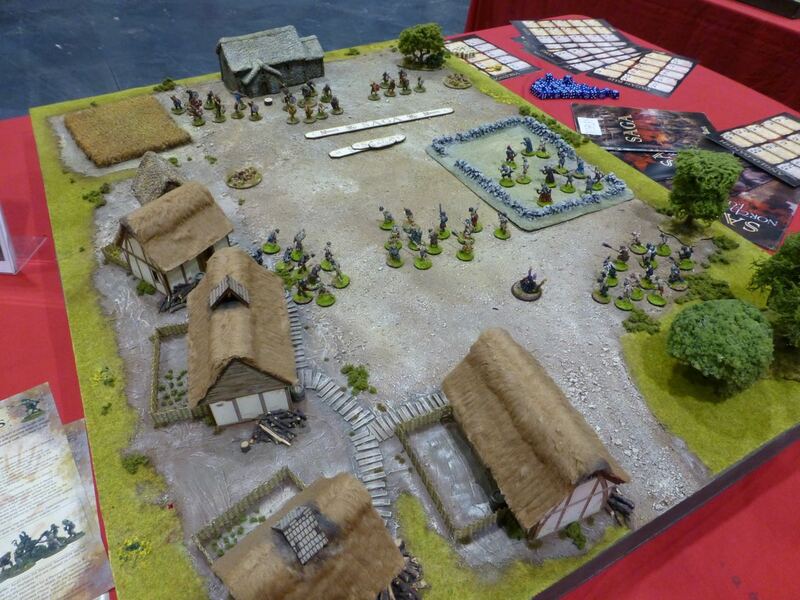 Another medieval setting in “De Montfort Must Die”, a participation game by Wargames Illustrated. 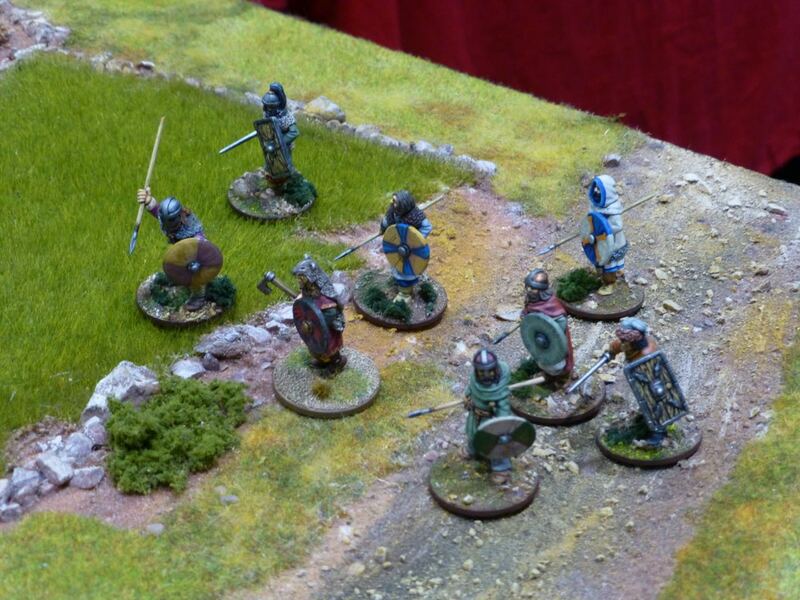 Here the players had to hunt down a rebel leader near Evesham in 1265. 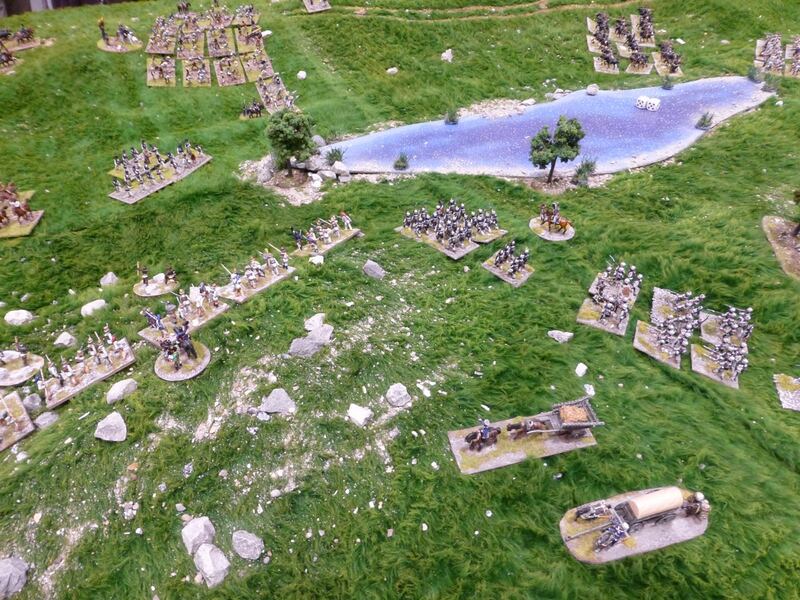 A micro-board using larger scale knights set in the siege works at Harfleur provided the battleground in the below game for Anno Domini. 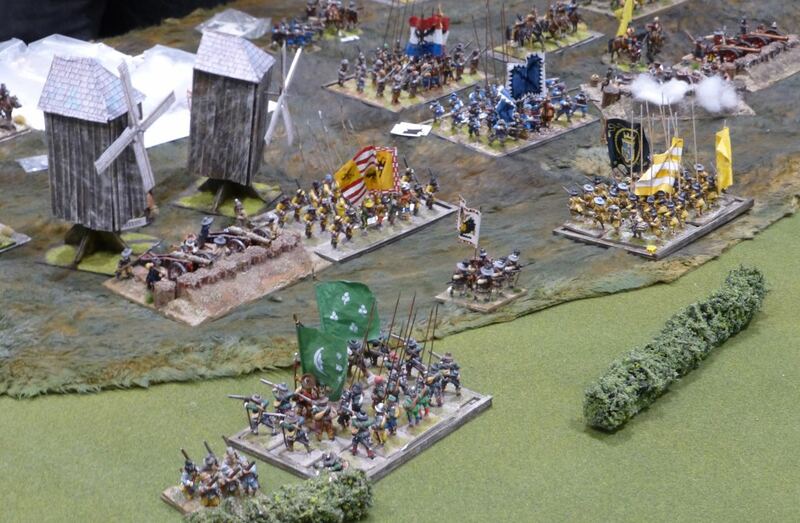 Stockholm 1392 was the setting for Dalauppror’s “God’s Friends and the Whole World’s Enemies” in which the Swedish populace tried to fend off plundering German mercenaries and pirates. 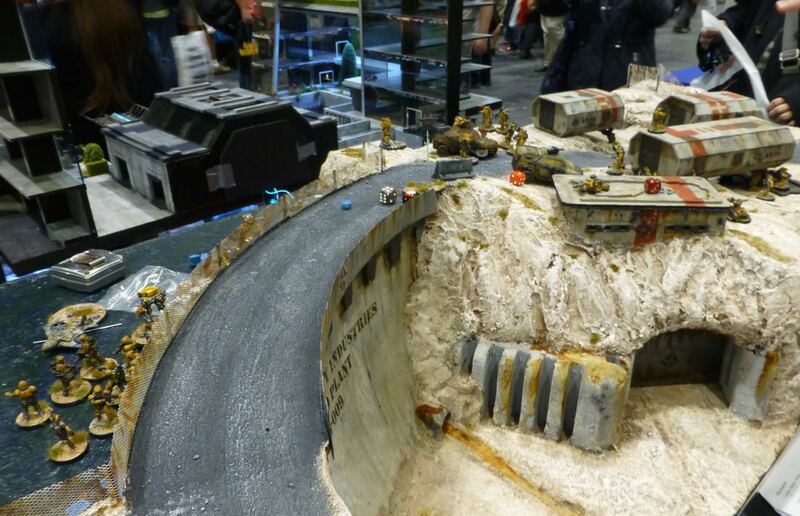 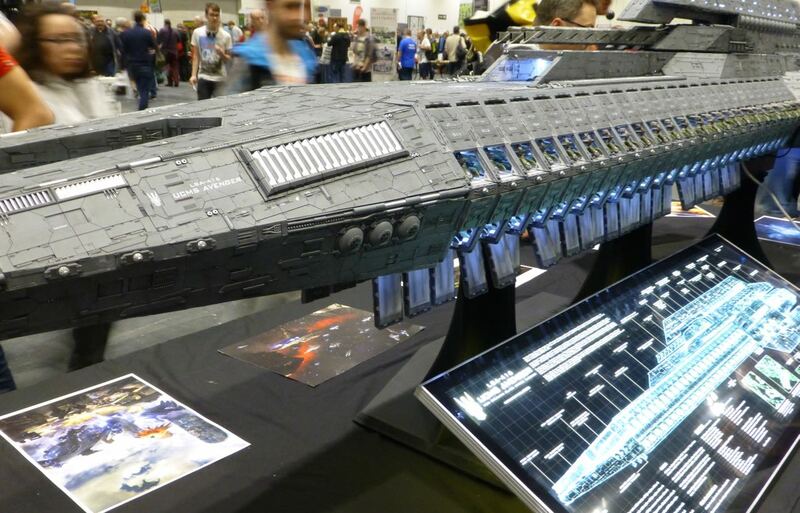 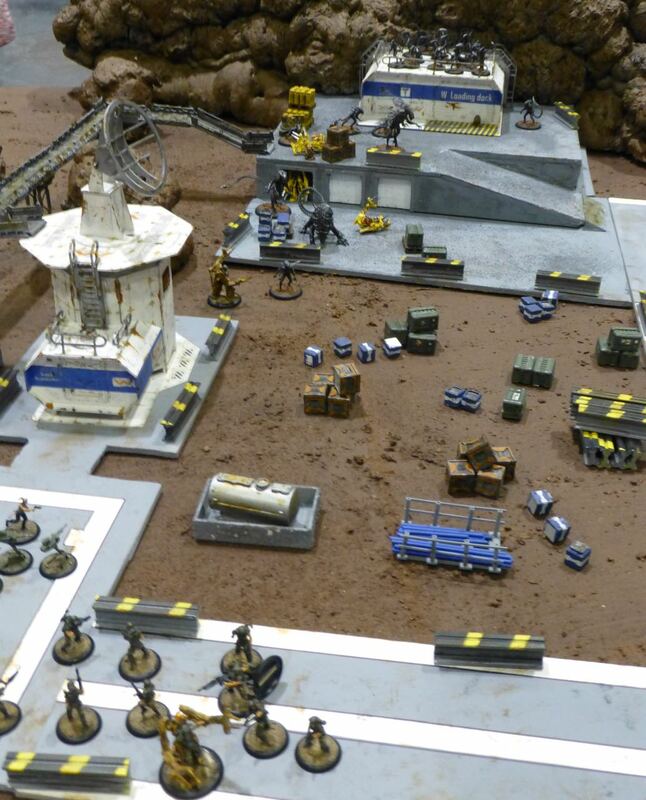 Dropzone Commander and Star Wars dominated visions of the future (or respectively the past, but far, far away) at Salute 2015. 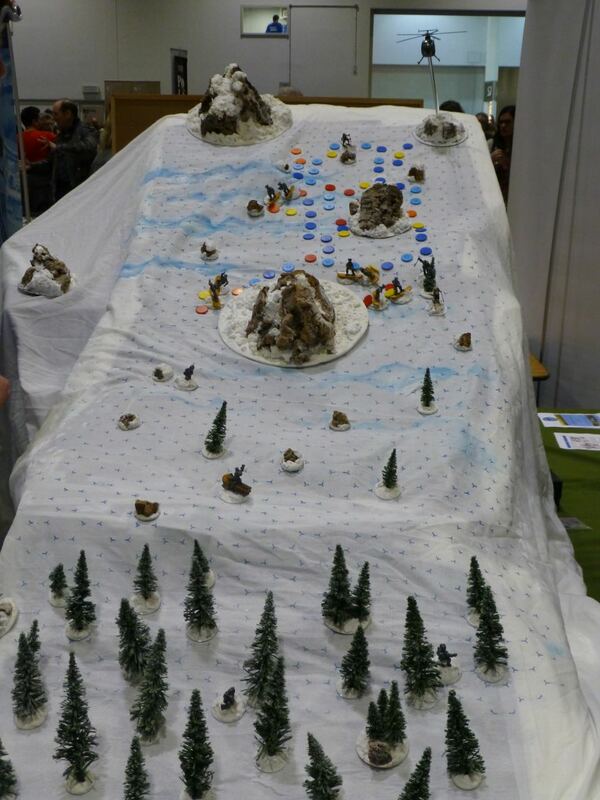 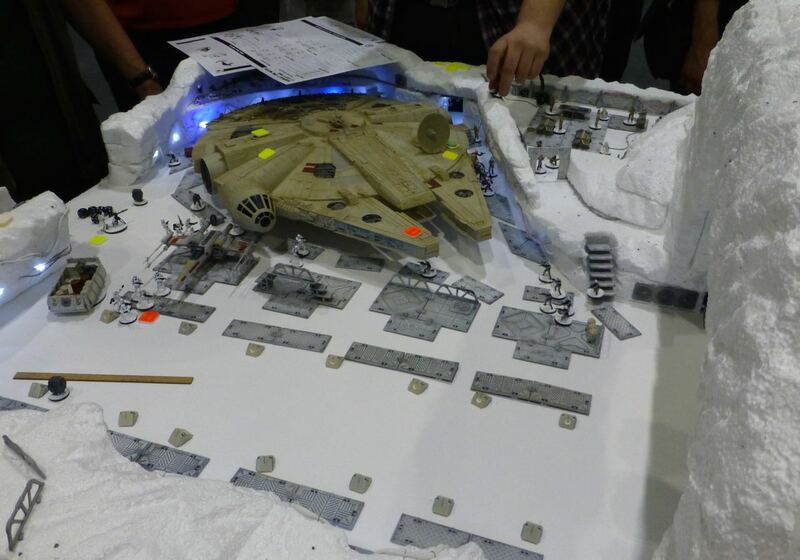 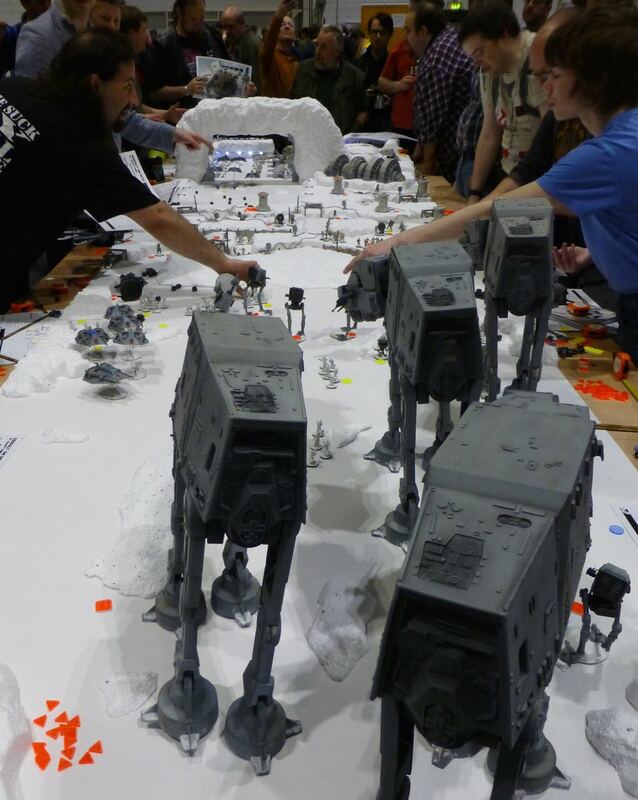 Beasts of War ran a participation game recreating the Battle of Hoth with custom rules and pre-made models. 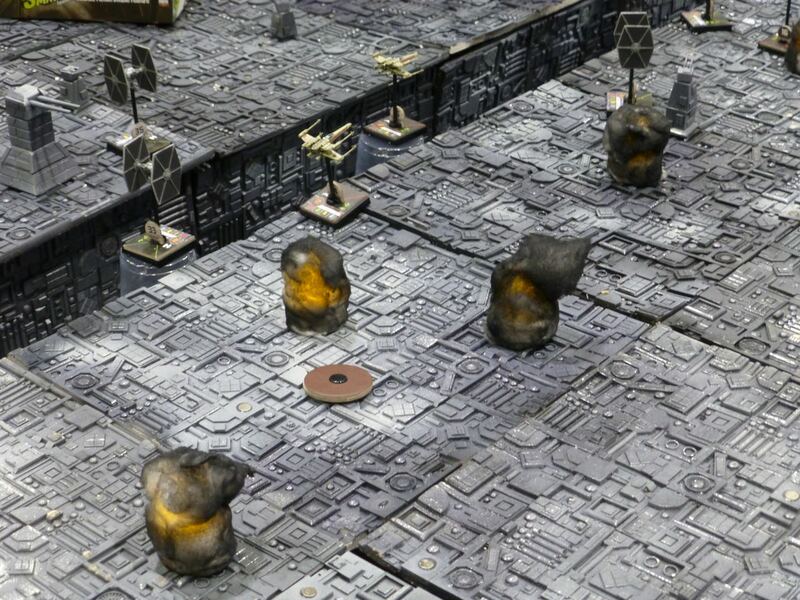 Meanwhile, Chelmsford Bunker ran a game of X-Wing to blow up the Death Star. 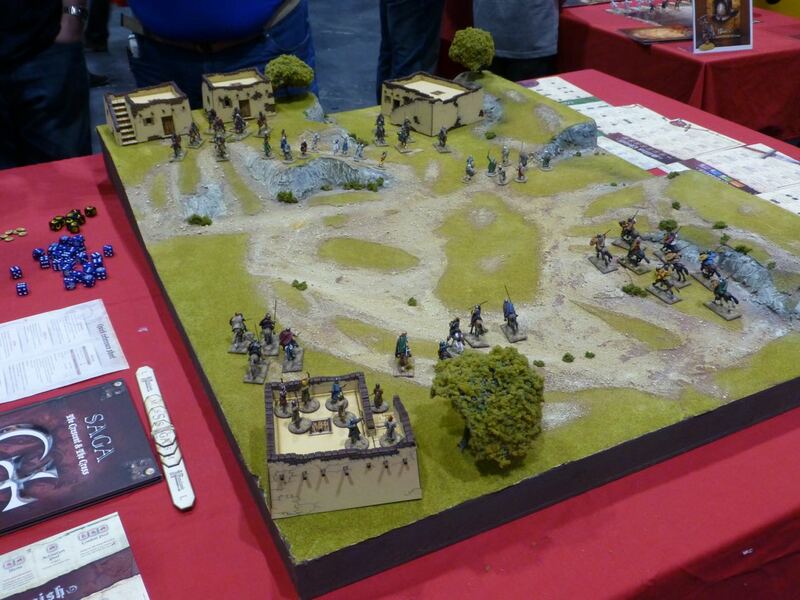 Hawk Wargames brought the now finished UCMS Avenger to their sales stand and had created one of the biggest battle dioramas of the day. 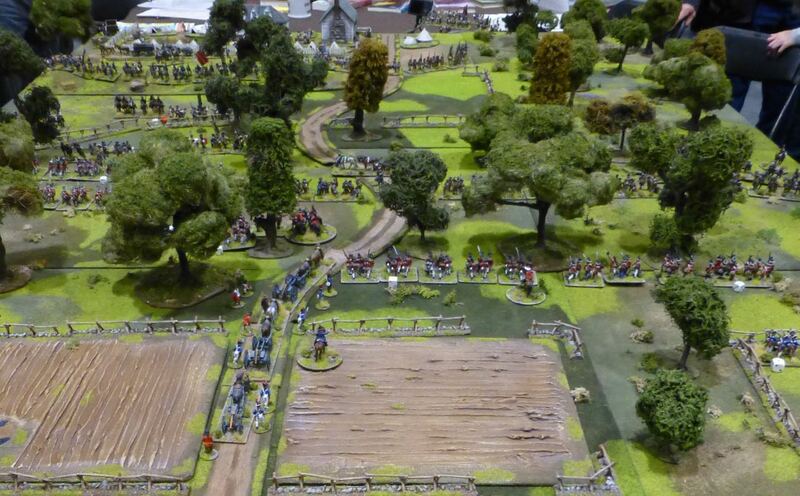 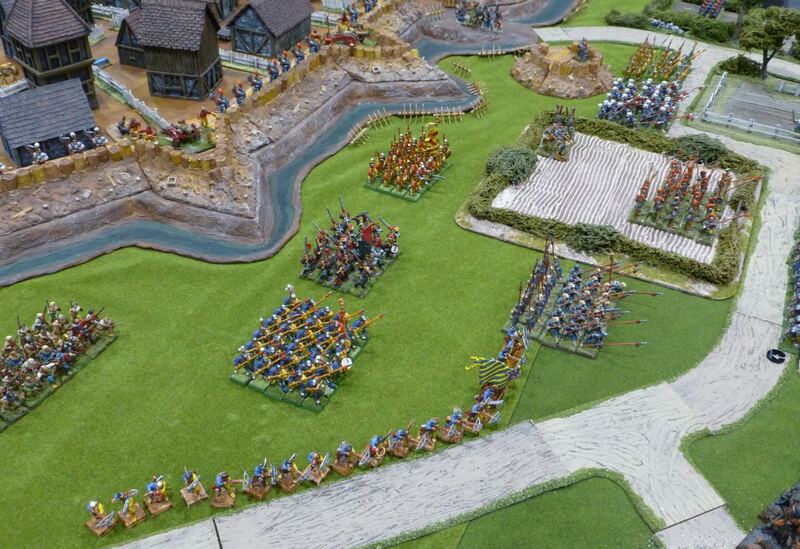 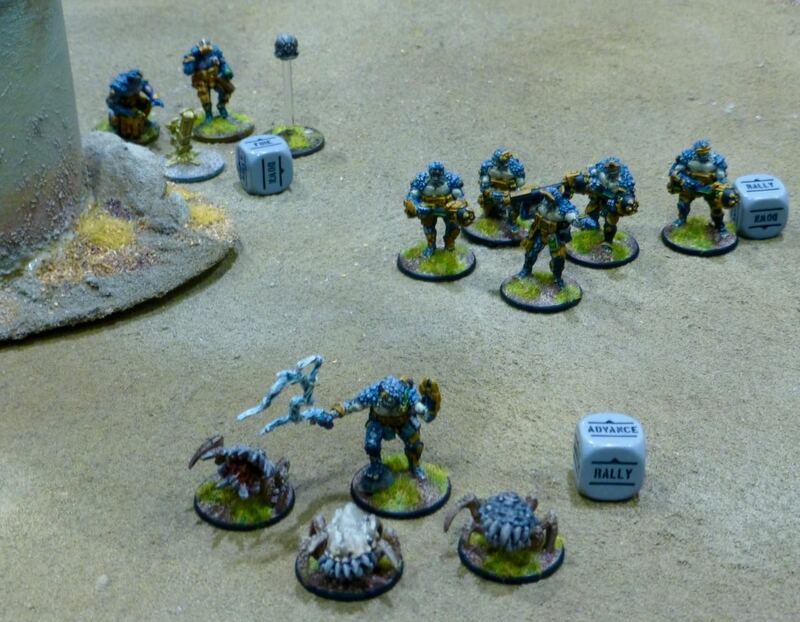 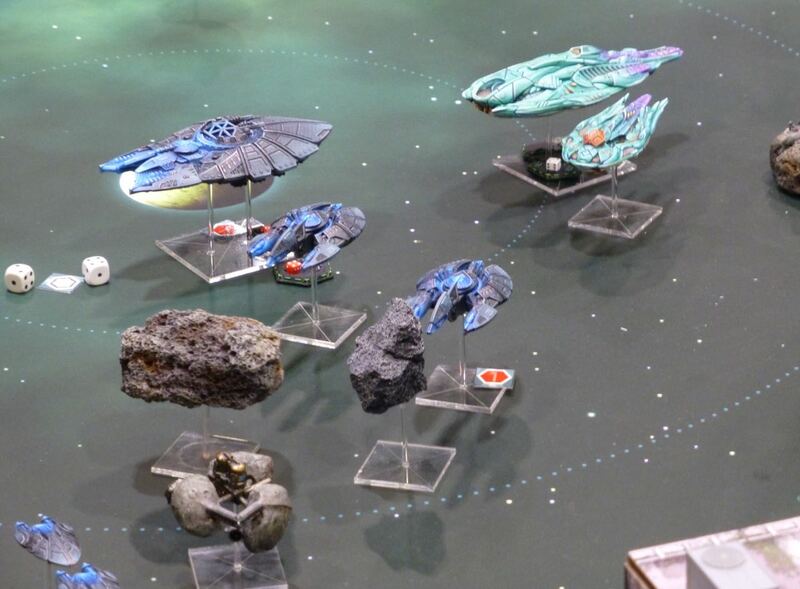 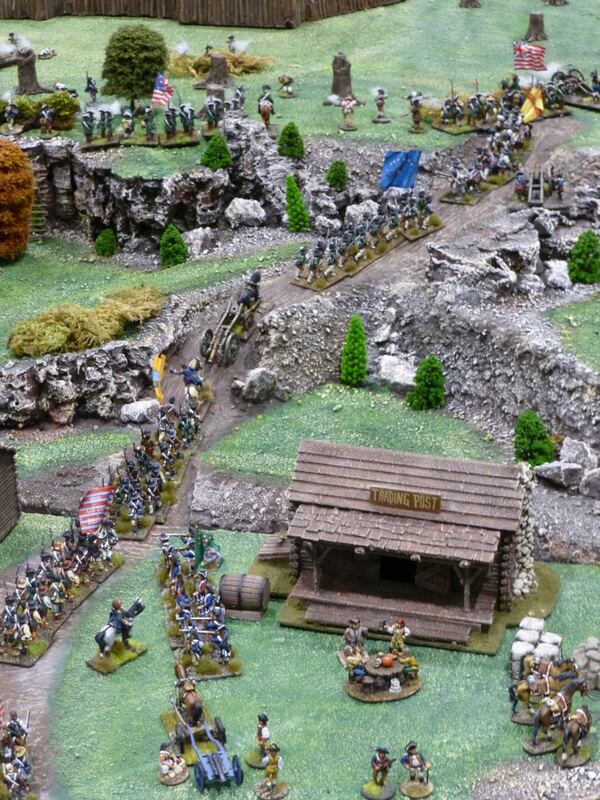 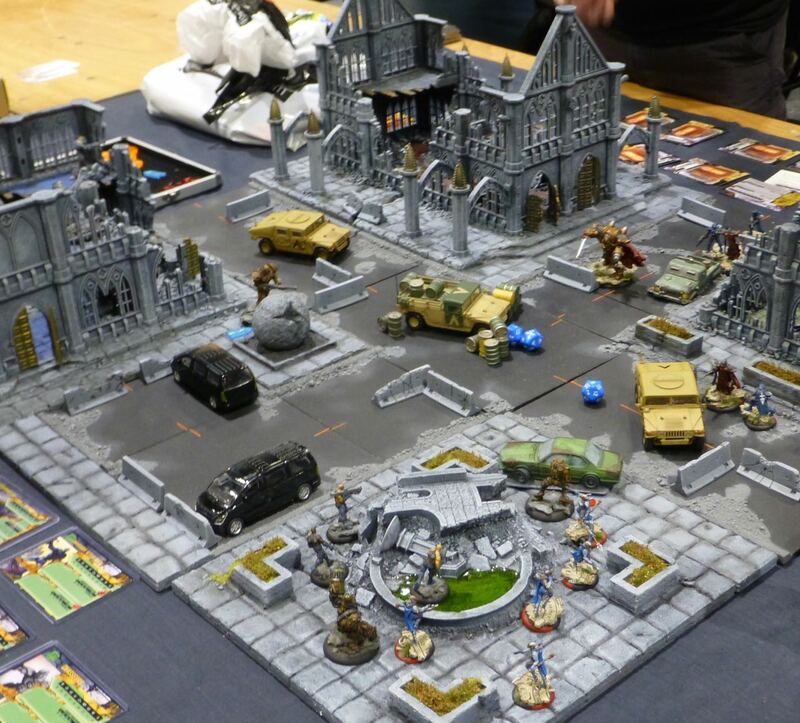 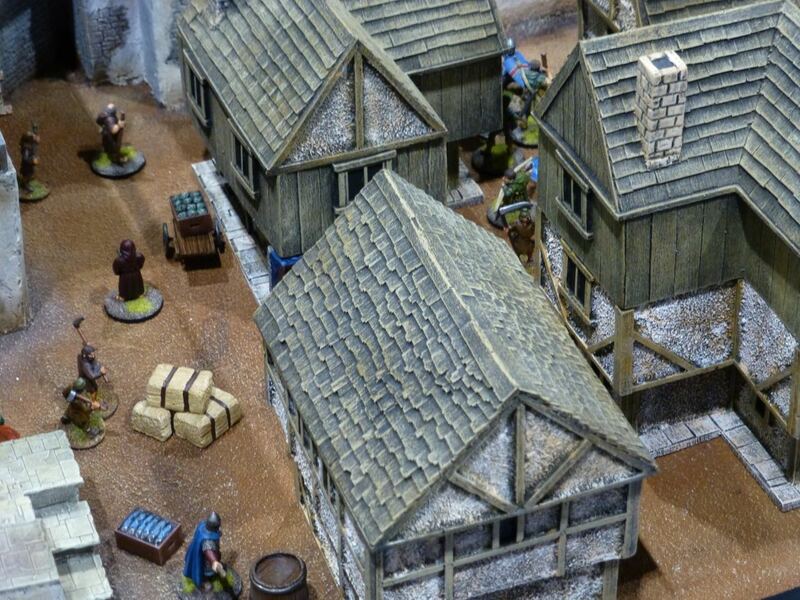 Matlock Wargames Club hosted Rick Priestley and his Beyond the Gates of Antares project. 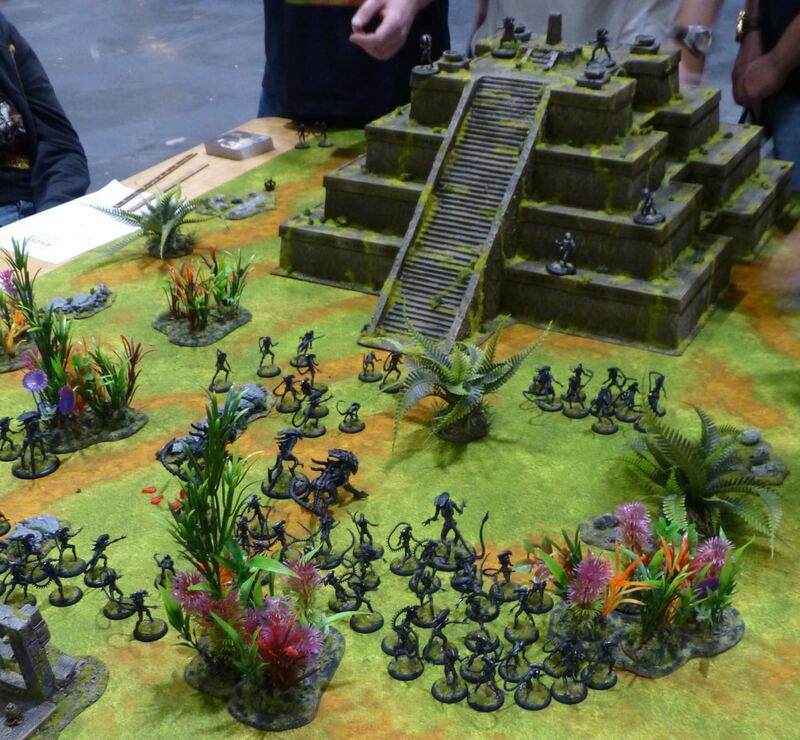 Prodos Games ran some participation games for their upcoming Alien v Predator. 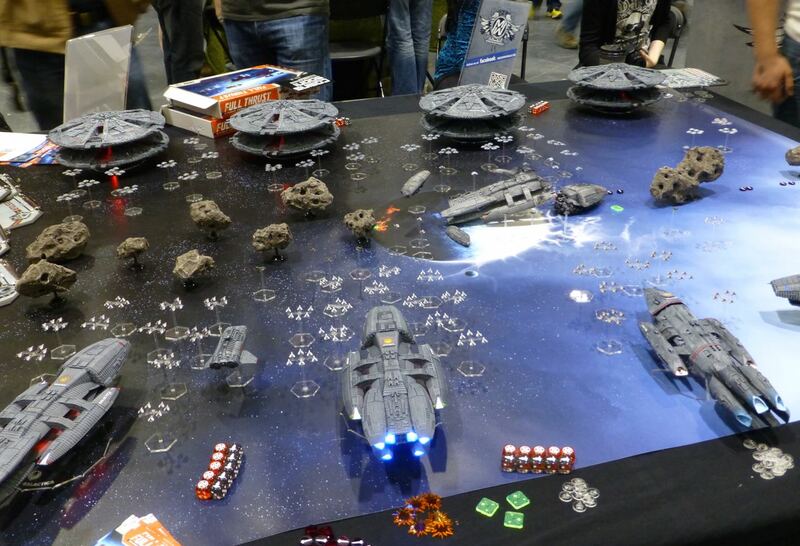 Spartan Games offered demonstrations of Halo Fleet Battles and Firestorm Planetfall. 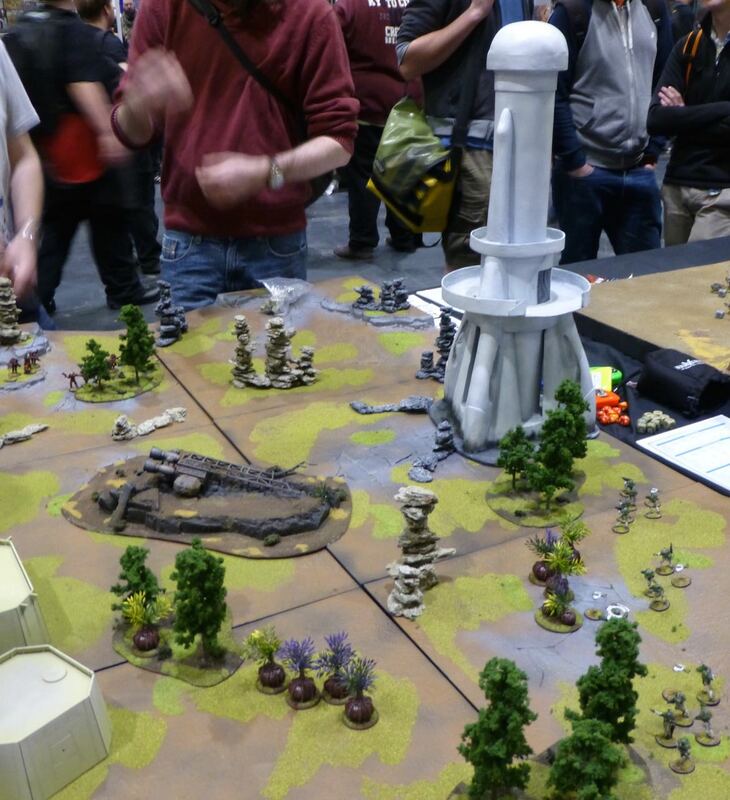 There were a range of other games on display showcasing the variety of sci-fi themes. 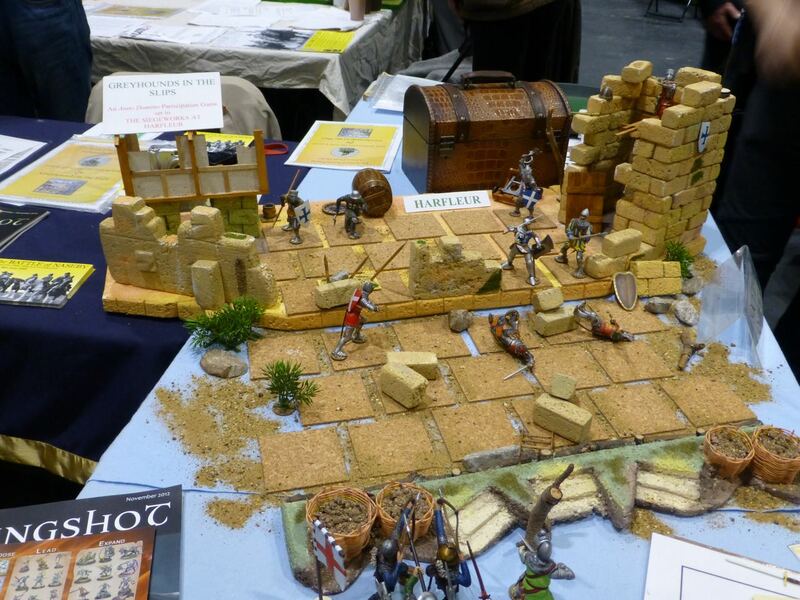 Fantasy wasn’t a strong category at Salute 2015 this year, with most tables being small demonstration games run by publishers. 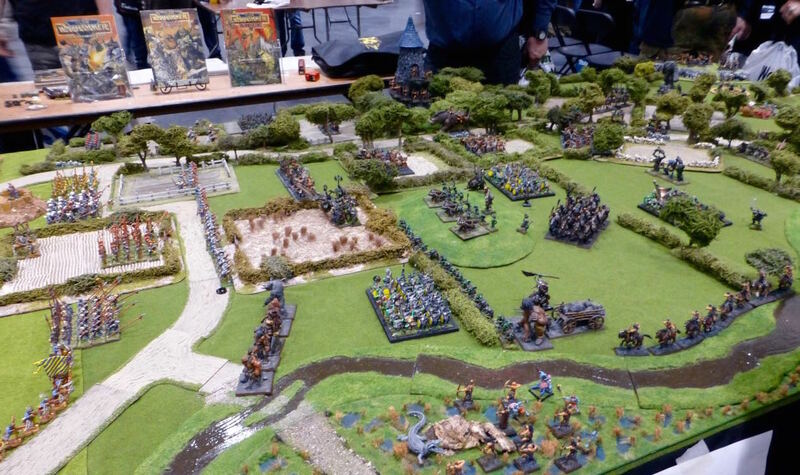 “The Relief of Nordheim” by ‘Ardhamma however proved a noteworthy exception – an Empire town defended by an alliance of Humans and Elves was under attack by the forces of Chaos, Orcs & Goblins and Barbarians, played out using Warhammer 3rd Edition rules. 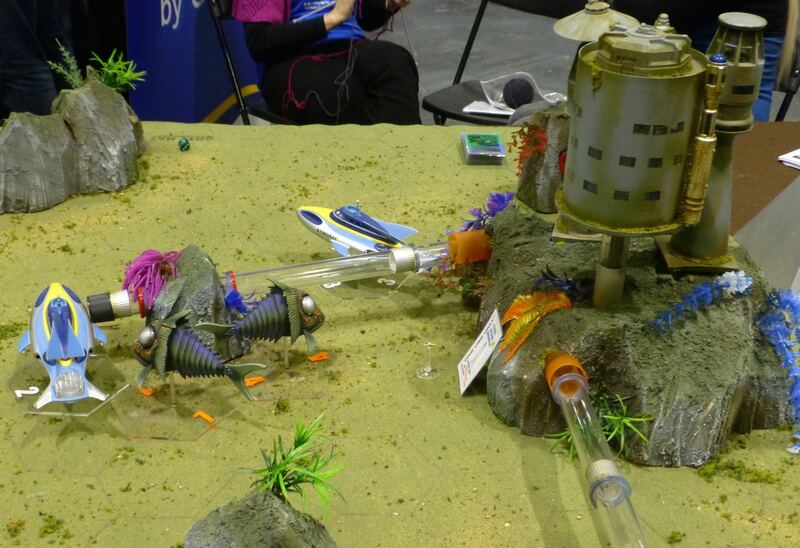 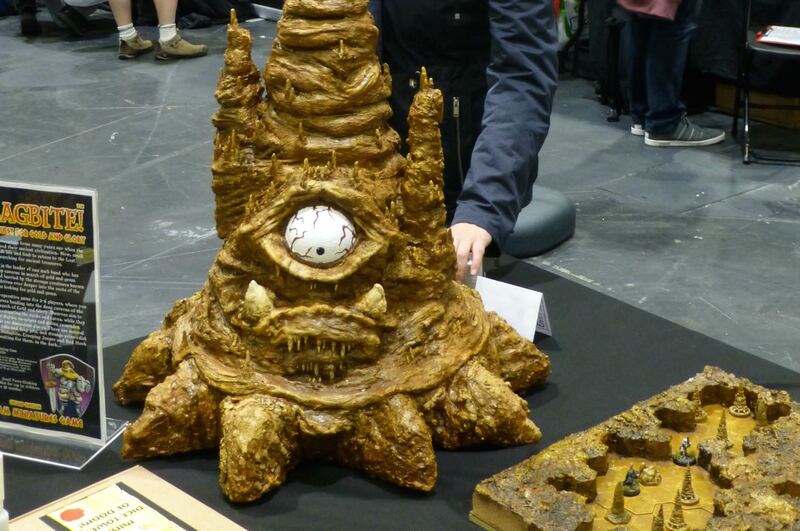 Midlam Miniatures presented the 2nd edition of their board game Stalagbite! 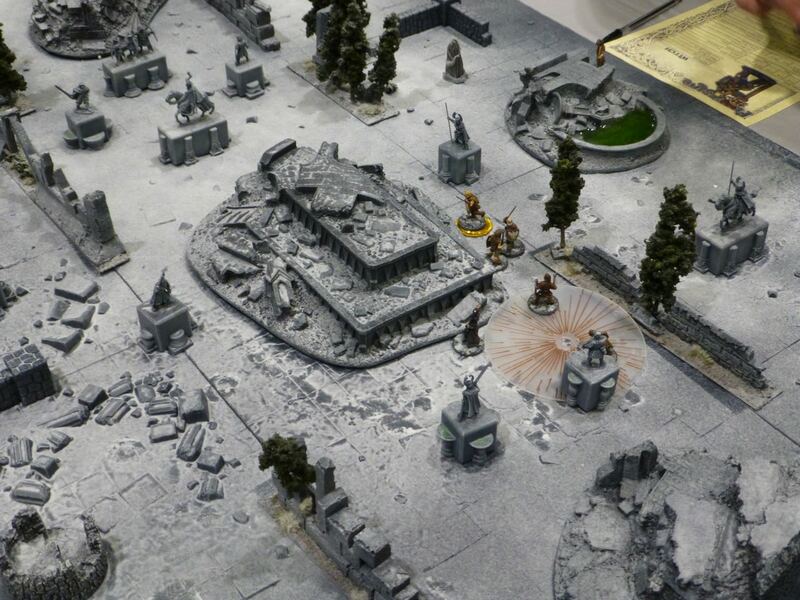 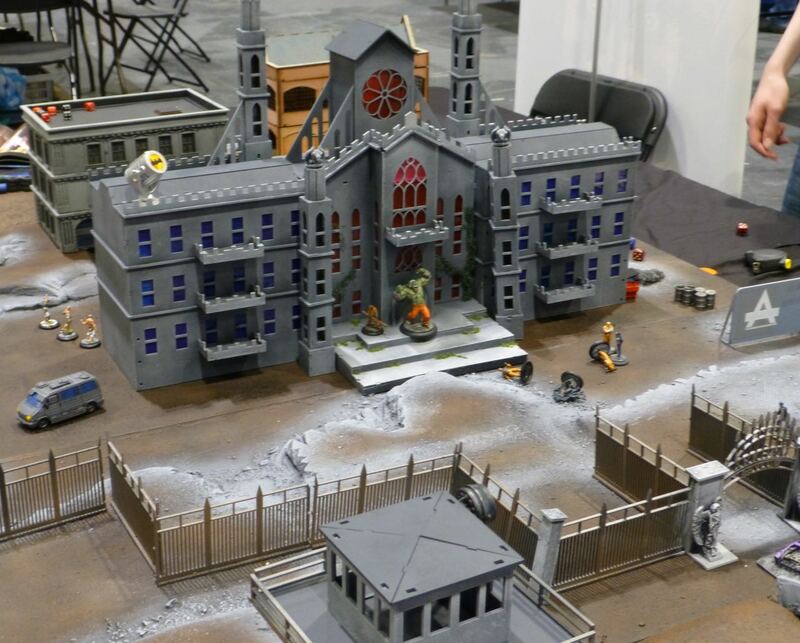 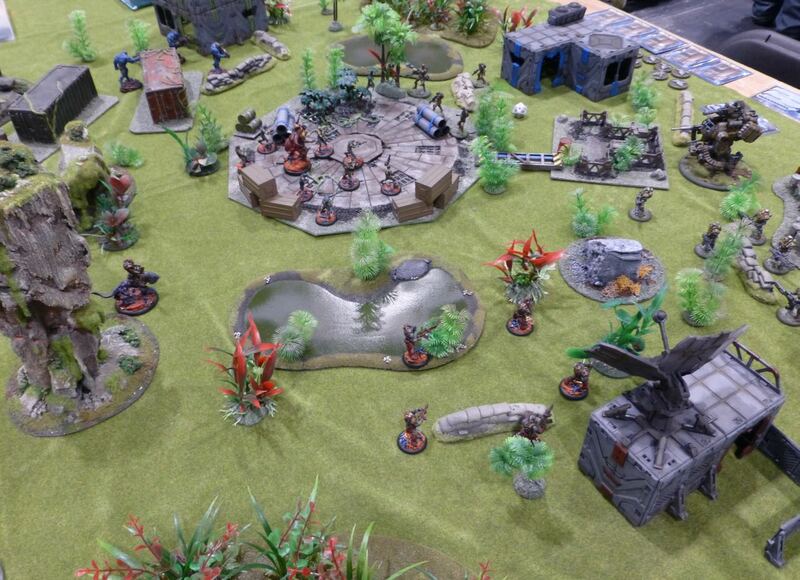 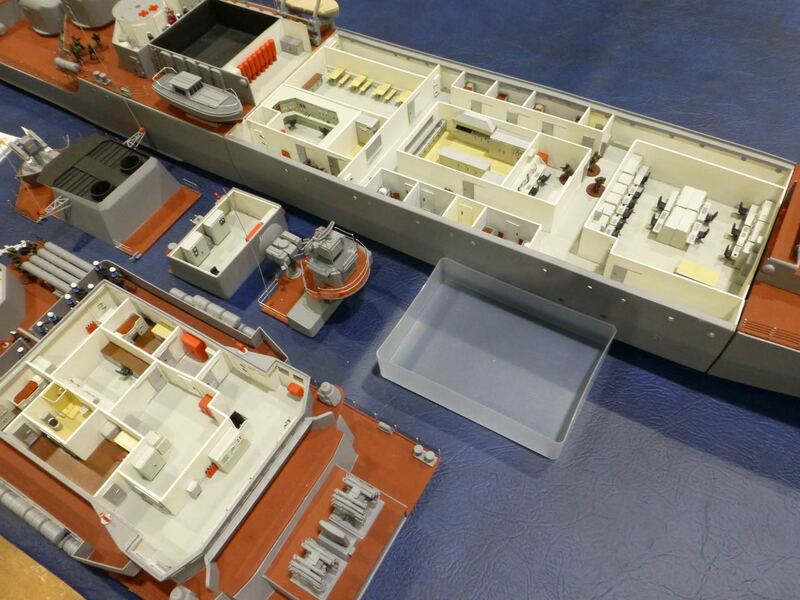 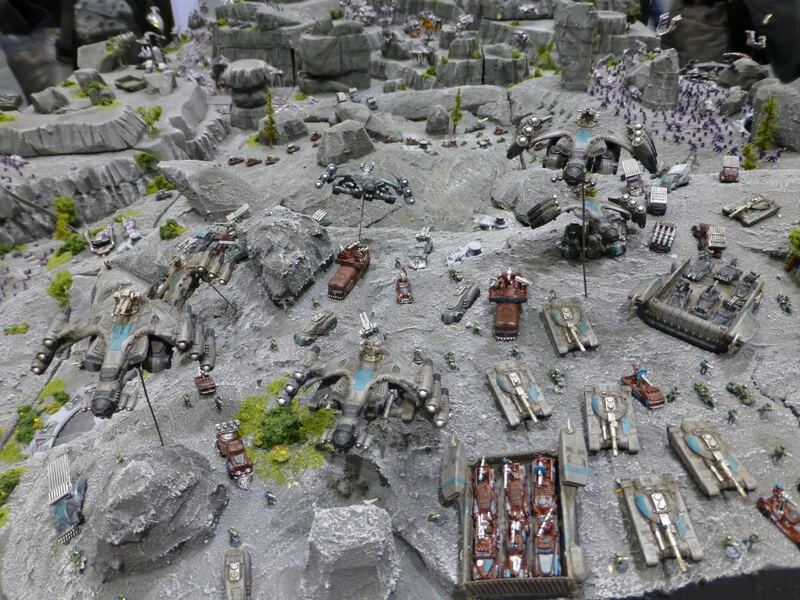 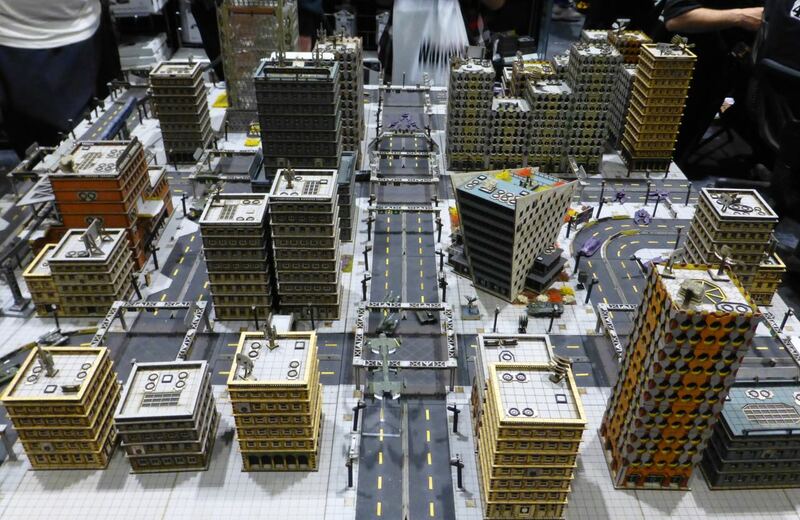 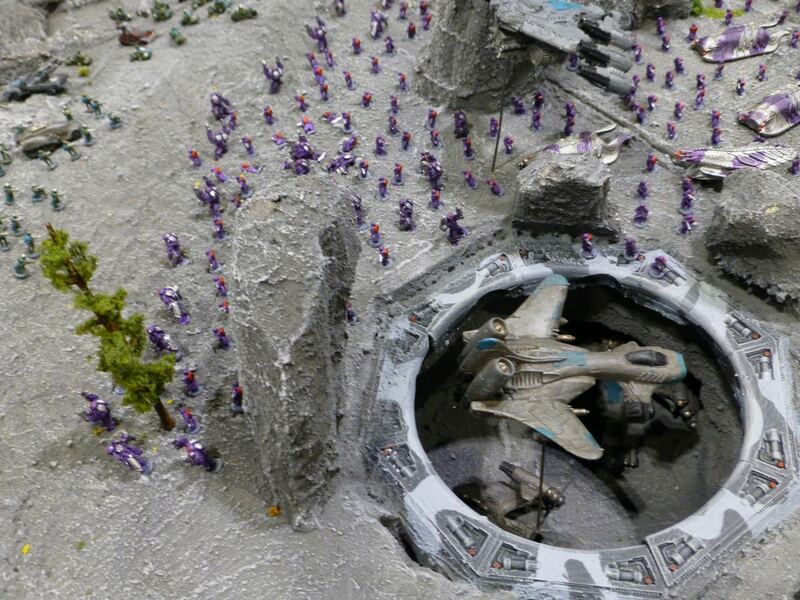 with custom built 3D terrain and the miniatures from their range. 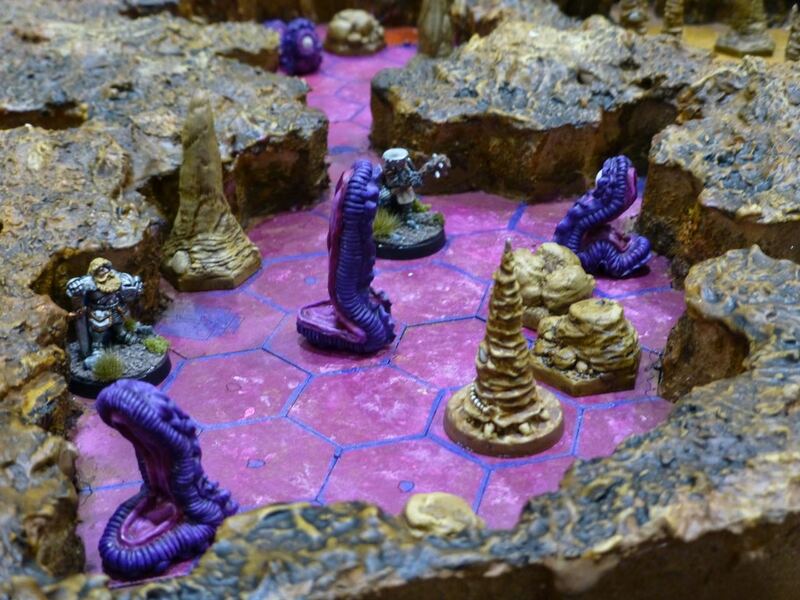 Don’t touch the God Stalagbite! 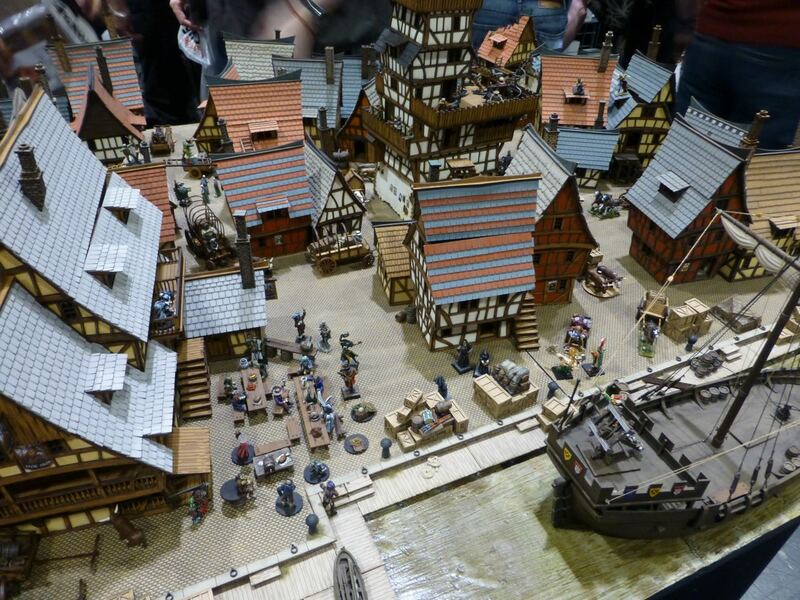 Another game that caught my eye for its scenery was Frostgrave, in which wizards and their henchmen battle over lost artefacts in an ancient frozen city. 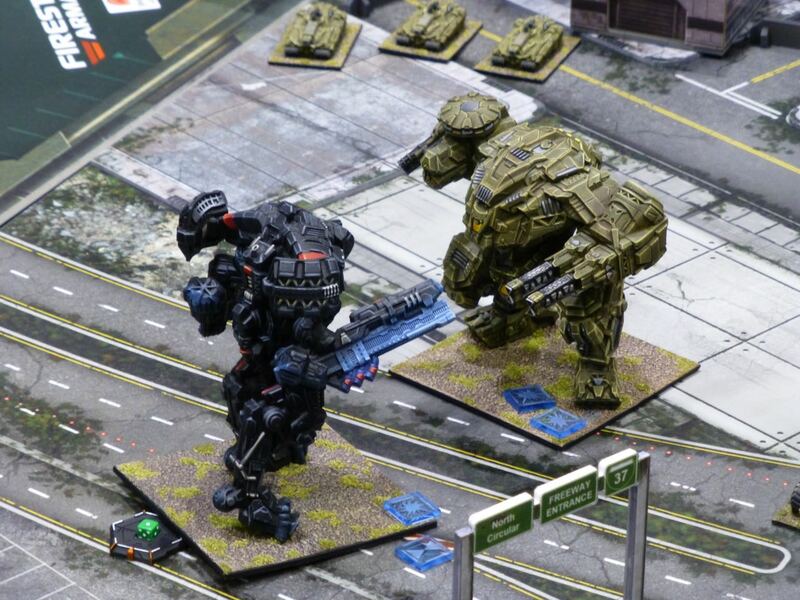 Its release date is set for July. 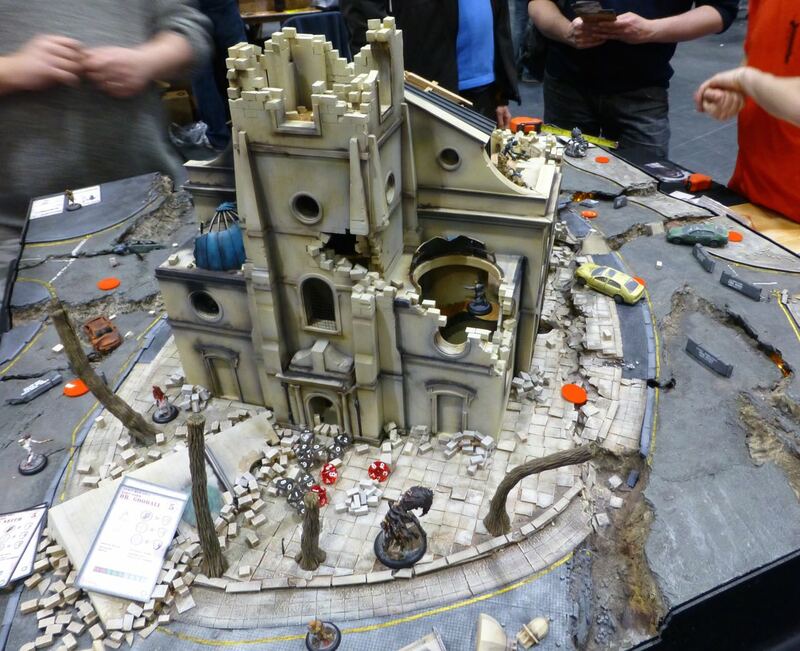 Something a bit special once more from Frothers Unite who built a castle and dungeon to purge of filthy creatures while discovering hidden treasures.